I have been very pleased with the care I have received from Martin and staff. Dr. Ashby and his staff are professional and timely. I am very happy with the care I have received. We always have excellent appointments with Martin and my boys feel comfortable every time we go. He is patient and answers all of our questions promptly. I highly recommend him! Love Dr. Berrys bedside manner and her knowledge! She is fantastic and so amazing with my little one!! Thanks for your dedication to your patients! Great experience! Felt very comfortable there with staff and the Doc. Martin is very kind, he explains what he is about to do before he does it. He has been very sincere and compassionate when caring for me. I went in for a coblation turbinate reduction and everything went off without a hitch. The appointment started on time, the staff was very courteous and professional, and Dr. Shapiro was great. He was very patient, took his time explaining every step, and completed the procedure without any problems. 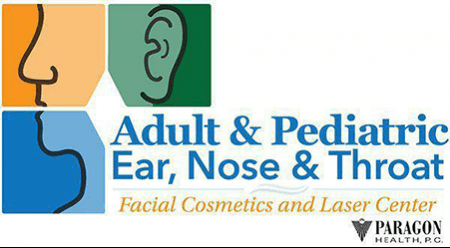 I highly recommend Adult & Pediatric, Ear, Nose, & Throat! I highly recommend this office, and especially Dr. Berry. Everybody that I dealt with was professional, thorough and very nice. Great empathy, treatment and results. Hope I never need to see him again, but, if I do, Dr. Shapiro would be the only one I would want treating me. Great support staff as well. Everyone was very professional from the front desk through my appointment. My questions regarding my hearing were all answered. Would highly recommend. I had a wonderful experience all the way around with my care. I so enjoy seeing how excited dr. Barry gets while she's explaining everything as well. Thank you. Each of my 3 visits have been on time and productive. Dr. Berry takes time to explain all details of the ear, the issues and the treatment moving forward to my liking. She is knowledgeable, patient, likeable and even has a great sense of humor. We are working on a "cure" and that may take some time yet but I'm glad to have her as my Dr. The front desk crew is right on point and nice to deal with...also patient and understanding. Sam administers a professional and informative hearing test too. Highly reccomend! Dr. Ashby decided to test me for a CSF leak, just in case. Turns out, that's what it is. After months of docs telling me it was allergies, it was awesome to have a doctor who listened. Personality wise, he's amazing~ Funny and makes you feel comfortable easily. Great and caring staff. Dr. Ashby is very professional and an excellent surgeon. This office is very professional and always is concerned about my health. They always return phone calls right away. Highly recommend this office. Martin is always kind, attentive, and empathetic. He is an excellent provider! Dr. Berry is very knowledgeable and has a great chair-side manner. I highly recommend her.